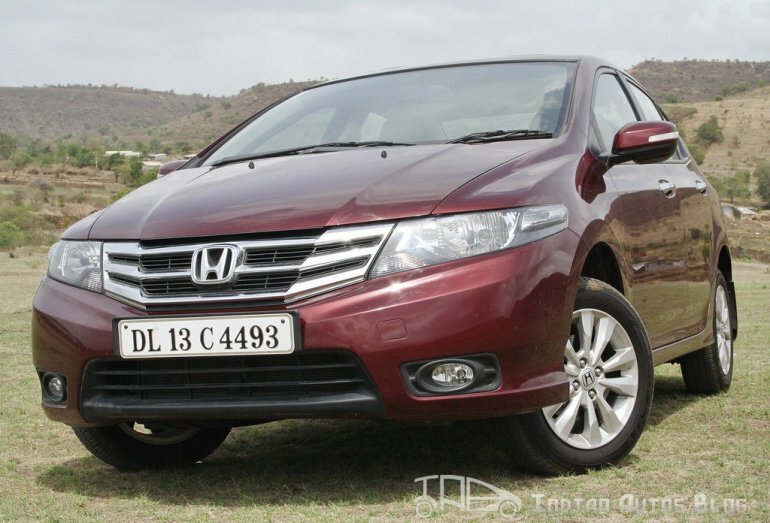 With luxury manufacturers such BMW and Audi moving down the value chain, humdrum manufacturers such as Honda and Toyota have to shed their halo to stay afloat. 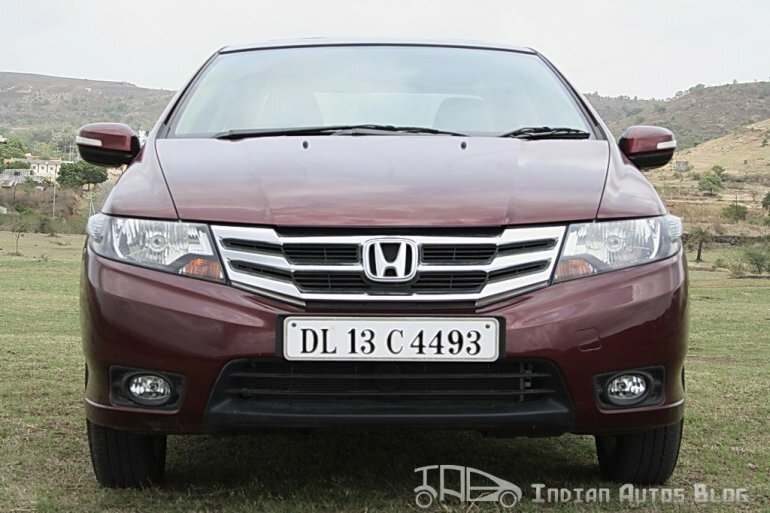 Honda is one such company that is in the process of shedding the ‘sitting on the throne’ image and expanding its customer base. The Japanese automaker recently celebrated a landmark of 5,00,000 customers and hopes to double it by 2015. The lack of diesel engines is certainly a major hindrance in achieving the target and the company is working on the same. In the meantime, the company is heavily localizing existing products to make them price competitive in the ever-expanding market. 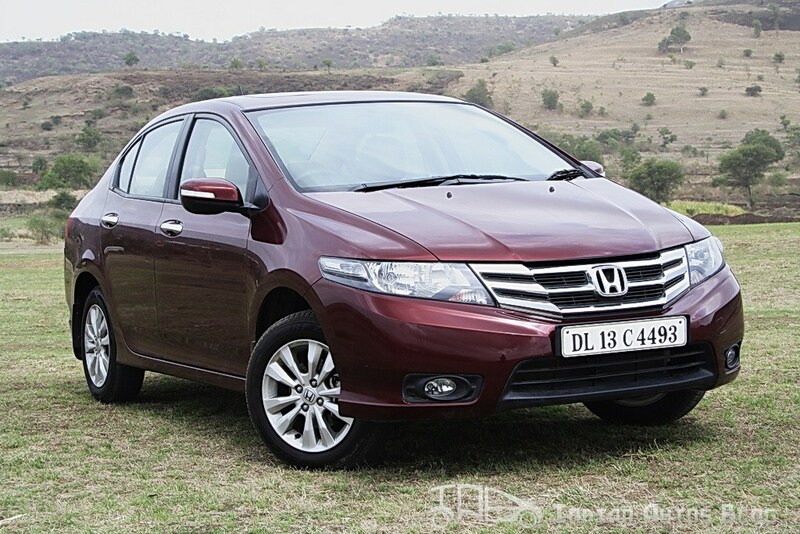 The Honda City went through such heavy localization which made it cheaper to manufacture resulting in massive discounts for customers. But has the localization efforts affected the product? Or has it made it the best petrol sedan on the market? The Honda City that we reviewed is the facelifted model which was given a slight nip and tuck for 2012. Essentially, it is the same Honda City that was launched in 2008 with minor modifications. Very few people know that the Honda City is based on the Jazz platform but it has been comprehensively redesigned to not make it look like a hatchback with a boot. 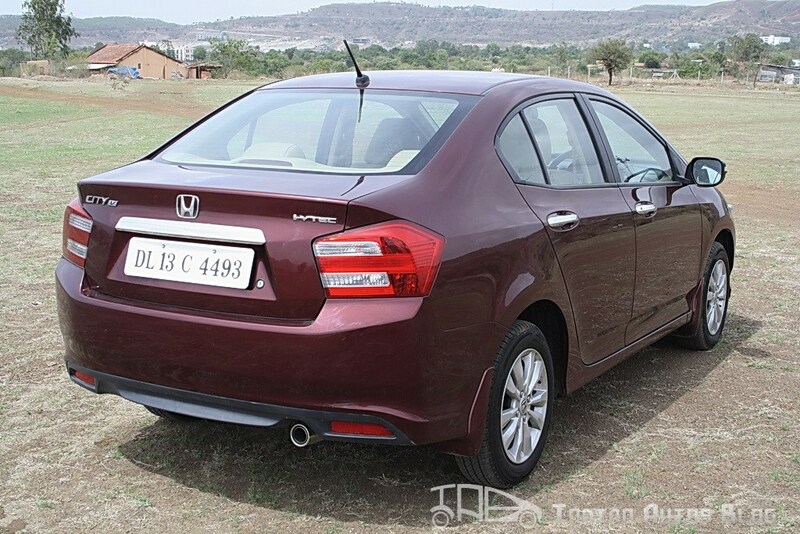 On first impressions, the Honda City is a combination of sharp aggressive lines to enhance the aerodynamic appeal. 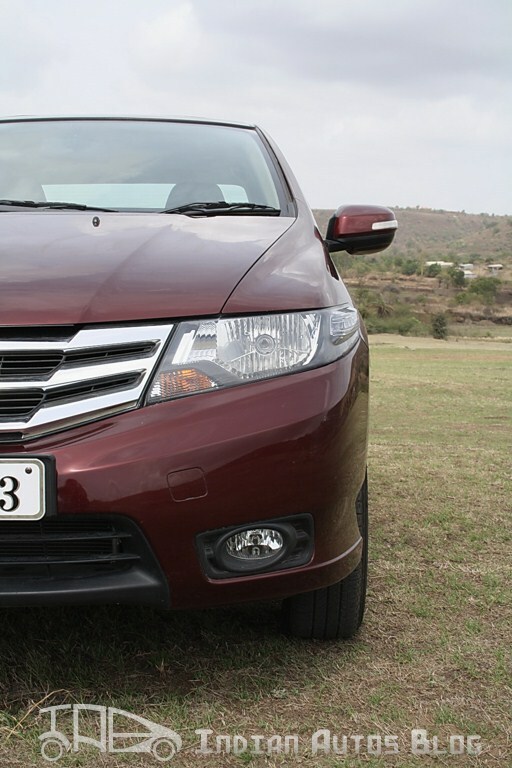 The front features a wide chrome grill to make it look more up market. 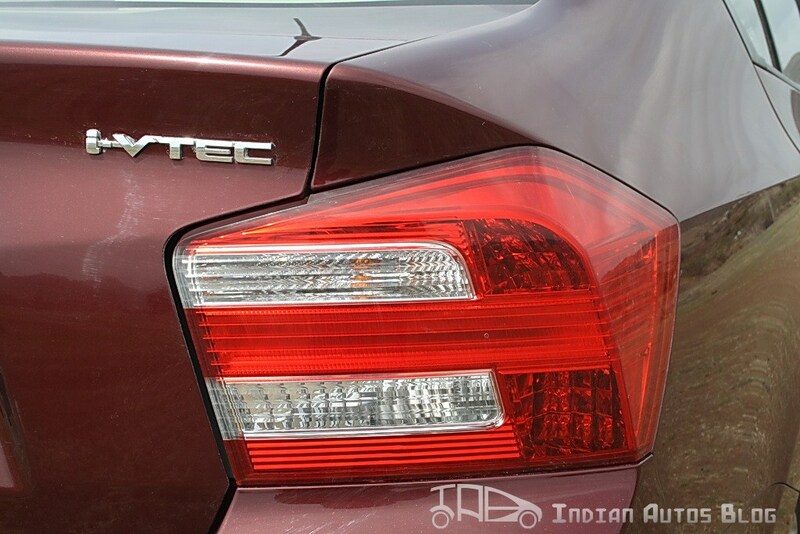 The sharp-edged headlamps give it a very futuristic styling and brilliantly blend into the side profile. 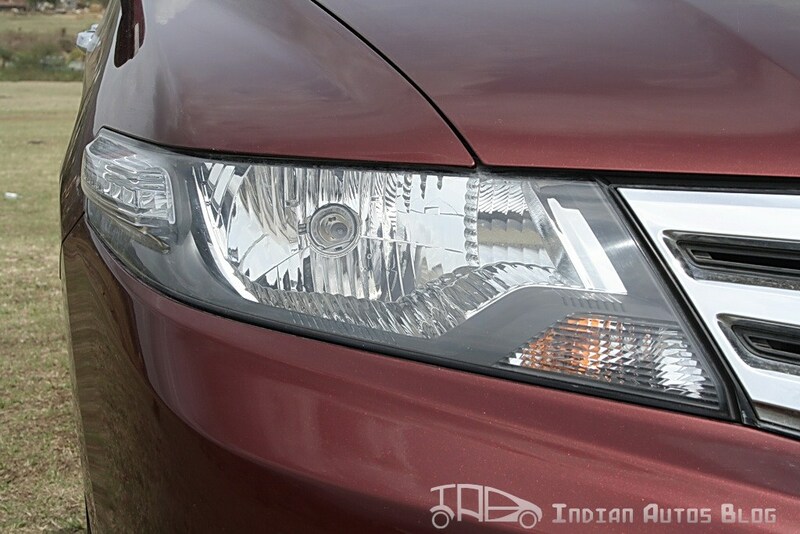 The fog lamps are neatly integrated into the front bumper with matte black surround. 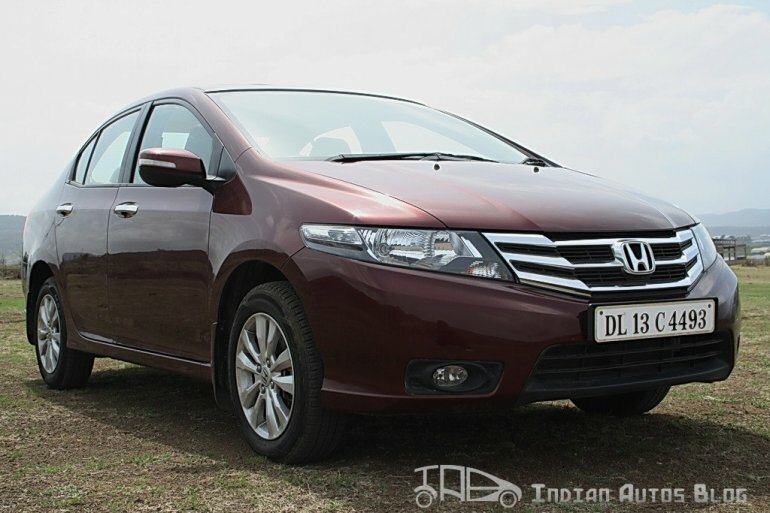 The front bumper has also been redesigned to make it look fresh and new. Honda designers claim the City was designed in ‘Arrow Shot’ form. This means that the City would appear to be moving forward even when sitting still. This is very true from the side profile. 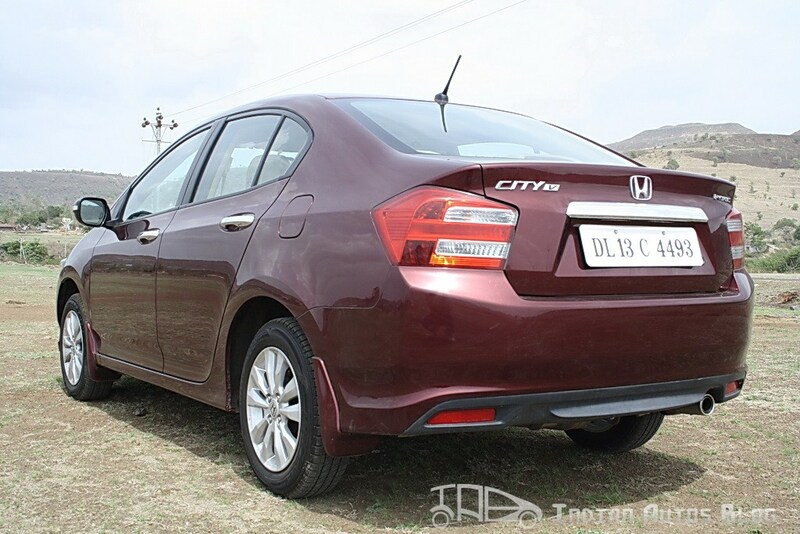 The side profile gives us the real glimpse into the aerodynamic nature of the City. 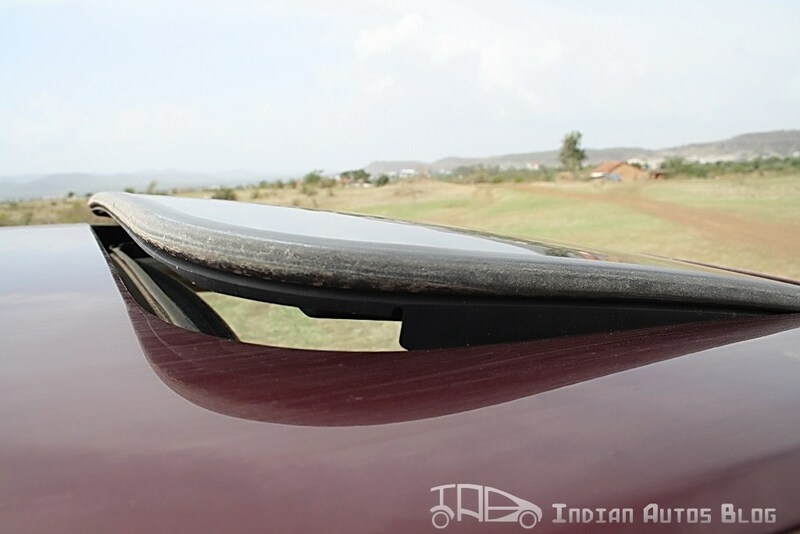 The roofline tapers on both ends to reduce aerodynamic drag. 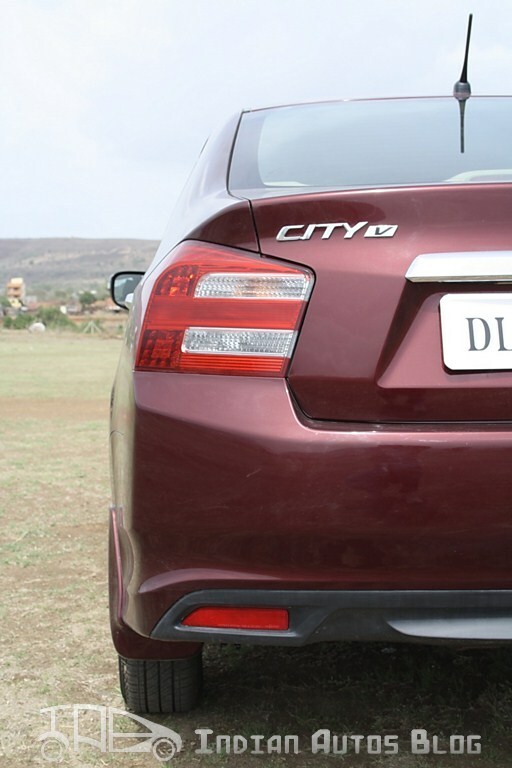 The new City also gets an all new 15-inch, 10-spoke alloy wheels which complement the side profile. 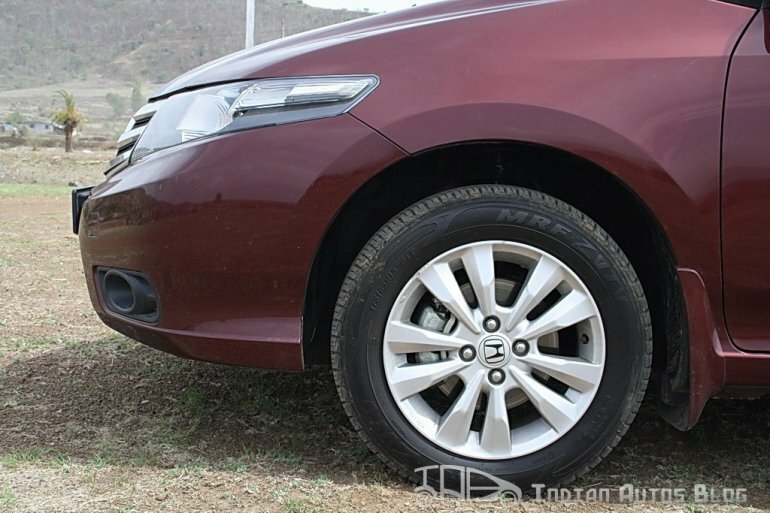 The alloys wheels in turn are well complemented by the chrome door handles which look exceptional on darker shades. The elements of the car's side profile are in complete harmony. 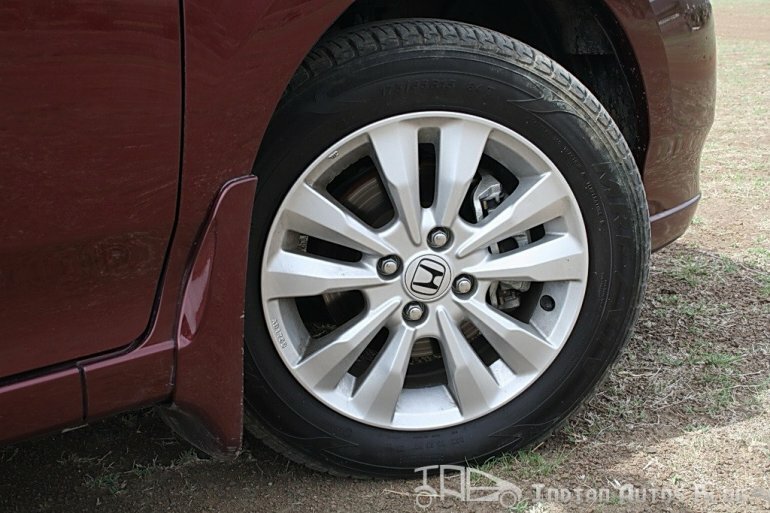 The ground clearance of 165 mm has been raised by 5 mm but the effectiveness is still questionable. You will scrape the underbody on steeper road bumps especially when loaded with people. 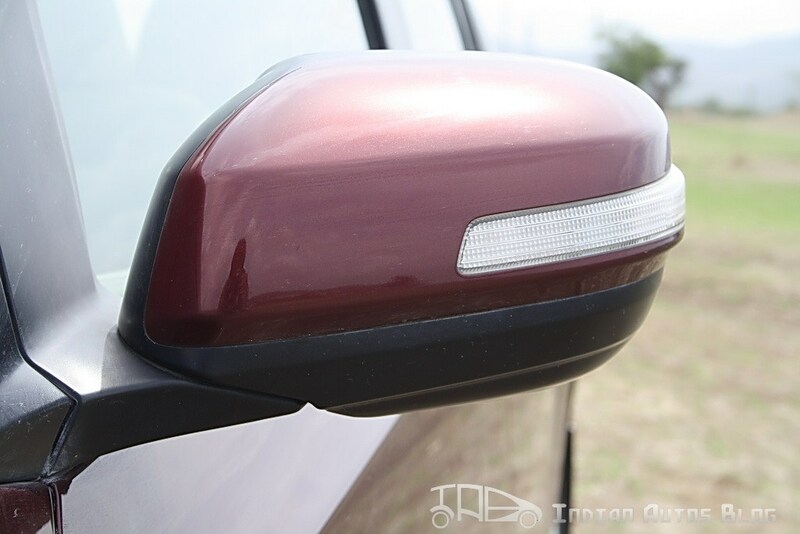 The side mirrors have integrated turn indicators which are becoming the norm these days. The visibility that the OVRMs provide is good especially for overtaking maneuvers. Our media car also came fitted with the optional sunroof. 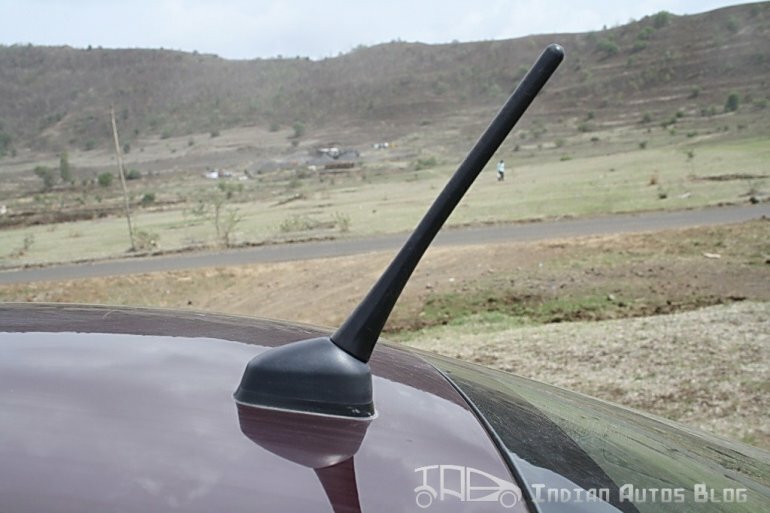 This is a pretty fun feature especially for kids who love a little wind in their hair. You can either fully open it or tilt it for air circulation. 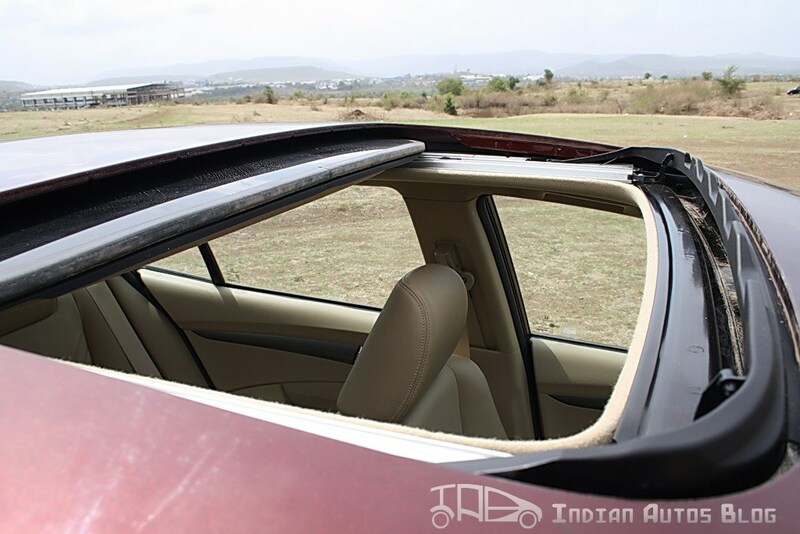 It also provides some external light inside the cabin making it feel like nature's joined you for the ride. The rear profile is by far the best aspect of the design. 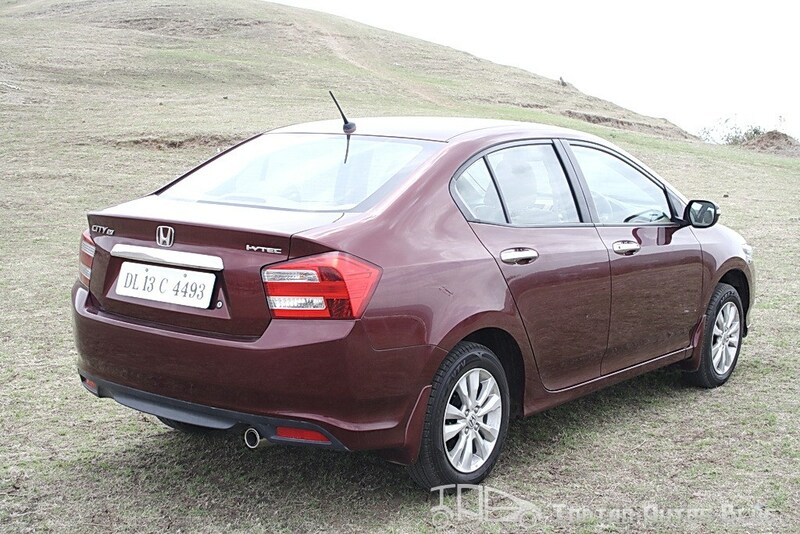 Some say it is influenced by the BMW 3 Series and it is very easy to see where they come from. The boot is designed in such a way that it has an integrated spoiler. The new tail lamps are exceptionally stylish especially when they are lit at night. Some more chrome can be found just above the number plate. 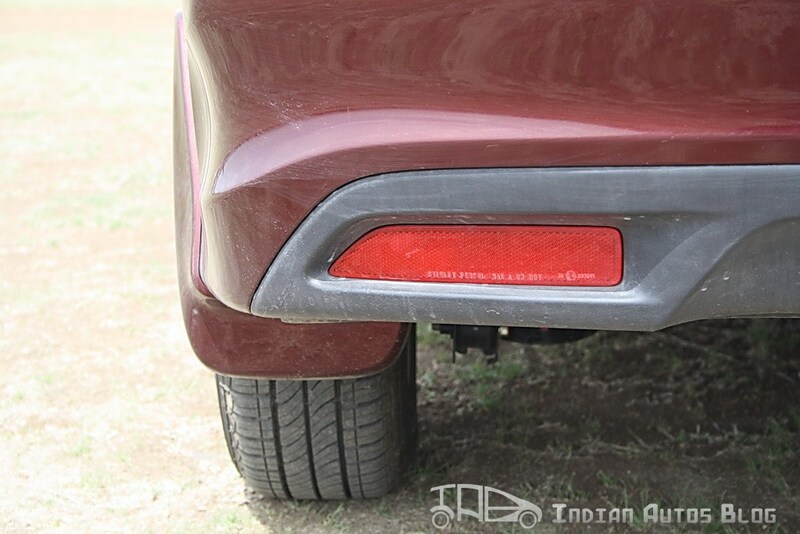 A redesigned rear bumper now features reflectors on each side. 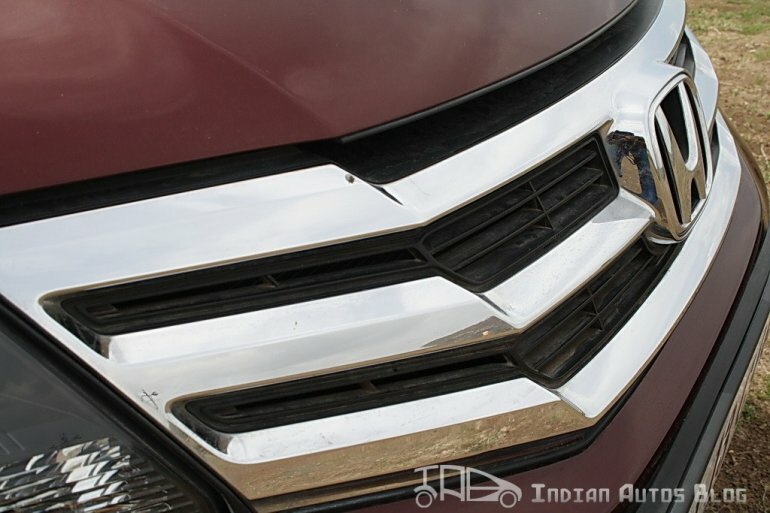 Some may say that there is too much chrome on the facelifted model. I feel, apart from the front grill, most of the bling is justified. 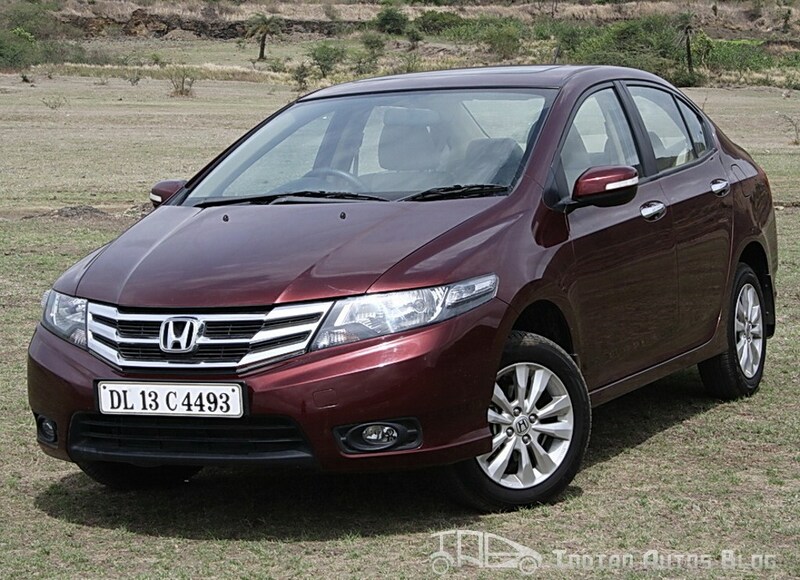 The Honda City is not a pretty car. 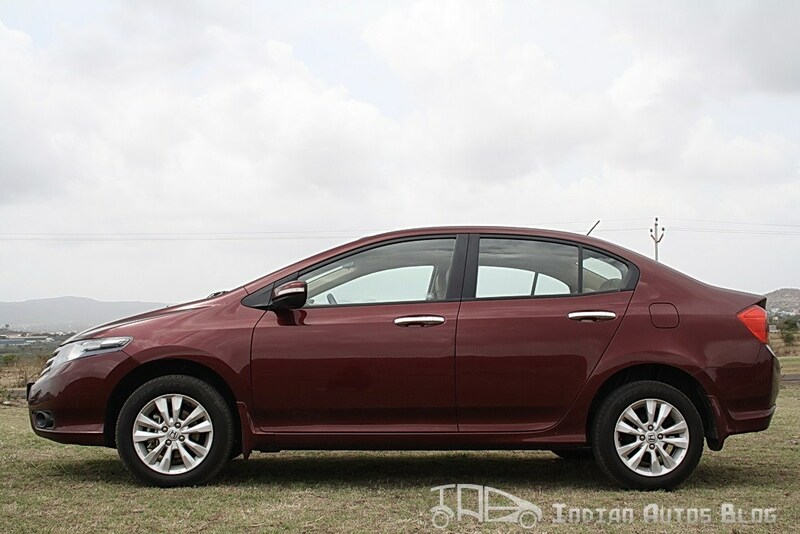 The Fiat Linea and the Ford Fiesta are ‘pretty’ cars. Don’t get me wrong, I am not saying that it is an ugly creation. The Honda City has a typical Japanese alienic appeal, similar to Yamaha bikes. The facelift was given to make the City look fresh in front of the onslaught of new designs and it has certainly accomplished the job, but only just. Stay tuned for the interior and driving review.